Tabitha Bartel is a dedicated real estate professional who prides herself on obtaining excellent results for her clients while navigating a variety of real estate transactions. 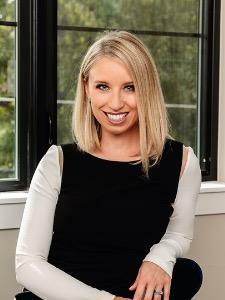 Tabitha began her career in real estate while pursuing a degree in Marketing at the University of Colorado, most notably assisting students with rentals. Tabitha honed her sales and marketing skills while working in the world of non-profit fundraising and convincing her children to eat their vegetables. Tabitha is proud to be an award-winning agent, landing in the top 10% of nationwide earners. When she isn’t selling homes, you’ll find Tabitha with her husband and two boys. Tabitha has also coached the state champion Standley Lake High School dance team for the last ten years and enjoys helping her athletes achieve their goals. From the moment Tabitha begins representing you in the purchase or sale of your home, you will immediately notice her competitive and dedicated nature. Tabitha is knowledgeable in the Colorado market and prides herself on keeping up with current market data. When you sit down with Tabitha to discuss selling your home, you will be sitting down with a friend who not only cares about your personal experience, but also a savvy businesswoman who knows the industry inside and out. Bought a Single Family home in 2018 for approximately $325K in Federal Heights, CO.
Tabitha is very informative but with a relaxed approach. She has a lot of knowledge about the market and CO housing in general which is highly valued and came in handy for us when finding the perfect home! This market can be very exhausting but she made the process as smooth and fun as possible. We couldn't be any happier than we currently are. Tabitha really loves and cares about her clients and I think I speak for a lot of them when I say we love her too! Bought a Single Family home in 2018 for approximately $400K in Commerce City, CO.
Tabitha is personable & approachable. These two qualities are very important in RE business. They go along with her knowledge in RE & her confidence & kind/sweet demeanor, to find you your home. A plus for us is that she is familiar with areas/cities surrounding Broomfield. She has an excellent team and it is nice to experience such professional & personable support. They are just as courteous and responsive. Example: If she wasn't aware of the best program or 100% sure of an answer she will refer you to someone on her team. She will stay on top of it. Her dedication and target time in finding us a home was on point! Tabitha is sincere when she says "she is there for you". If you choose her, you will not be disappointed. Showed home in 2018 in Denver, CO 80260. Tabitha was amazing! She knew exactly what we were looking for and showed us 9 properties in 2 days. We were coming from out-of-state so our time was limited to find a home. She went over and above offering us excellent service. She made herself available whenever we needed her. She helped us find a company to do a house inspection. She followed up with giving us a list of local businesses that she recommended for home repairs. Her knowledge of the area was so helpful to us. She was honest when we asked her questions and we really appreciated that! Tabitha Bartel is a true professional! !